As you get older, you might develop a condition known as spinal osteoarthritis. When you have this condition, you might have chronic discomfort in your back or neck that affects your day-to-day life. At Balanced Health Medical in NYC, we offer chiropractic care for this condition, so you can resume your usual activities. Our treatments provide a nonsurgical and drug-free way for you to manage your condition. The surfaces of the joints in your spine have cartilage on them that helps them move without bumping or rubbing against each other. Over time, this cartilage wears away or becomes damaged or chipped due to wear and tear or previous injuries, which mean the joint surfaces, grind together when you move. This leads to inflammation that can occur frequently. When you have spinal osteoarthritis, the inflammation in your spine can cause mild or severe pain in your back. If it affects the upper portion of your spine, you might have neck pain. The discomfort associated with this condition might feel worse when you first get up in the morning. While it might improve throughout the day, it usually becomes worse again in the evening or night. You might also have stiffness that restricts your joint flexibility, making it difficult to move in certain ways. You might also hear a crunching sound while moving. Typical ways to manage spinal osteoarthritis include stretching, taking nonprescription pain relievers and applying heat or ice. However, these treatments usually only provide temporary relief or not enough relief if you have severe symptoms. Chiropractic care can help you enjoy ongoing relief from discomfort from this condition. Our chiropractic doctor in NYC can do spinal adjustments that restore your spine to its proper alignment. These adjustments remove pressure on nerves in the affected part of your spine, leading to pain relief. They also promote healing by allowing oxygen and nutrients to get to damaged areas. 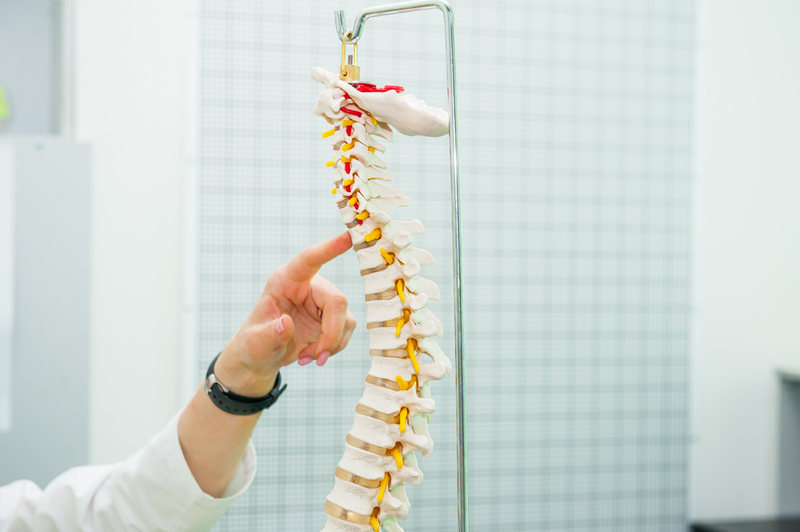 In addition to spinal adjustments, our chiropractor might include massage therapy, physical therapy and other nonsurgical forms of care in your treatment plan. These other treatments help the affected joints stay flexible and make your muscles stronger, which helps lower the risk of dealing with chronic pain from osteoarthritis. If you have back or neck pain from osteoarthritis in your spine, please contact Balanced Health Medical at 212-755-1717. Our Midtown chiropractor can provide you with relief for pain and stiffness associated with this condition. We are located close to the Upper East Side and near Rockefeller Center in ZIP code 10022. A Medical Examination is Required to Diagnose and Treat Any & All Medical Conditions.